You have our permission to forward these picks as far as you like. If you have received these picks by forward, please join our Facebook group to receive regular updates, or send us an email at michenerjs@gmail.com to be added to our email distribution list. We generally send only one update per week, and we will not share your email address with anyone. To become an official member, join OCPAC today. Endorsed. Candidates who are endorsed by OCPAC have received our seal of approval. You can rest assured that their values align with OCPAC values. They have completed our survey and appeared in person before our PAC for a grueling interview. Based on this vetting process, we believe they understand the proper role of limited government. They believe in the superiority of free markets over state-guided economic development, even in areas such as education and health care. They understand the duty of the state to defend its citizens against the oppression of the federal government. They believe we should not sanction, institutionalize, or encourage evil and depraved behavior, even if the federal government has done so. OCPAC endorsed candidates include: Jim Bridenstine, Matt Jackson, Tom Gann, Molly McKay, Kevin McDugle, Kyle Hilbert, Joe Newhouse, Scott McEachin, Tess Teague, Joseph Silk, Nathan Dahm, Chuck Strohm, David Brumbaugh, Travis Dunlap, Steven McGowen, and Jason Murphey. PICKED. Some candidates we simply pick. This typically means the candidate agrees with us on certain key issues of high importance which would make that candidate more preferable than the alternatives. We will attempt to explain a little about each pick. U.S. Congress, House & Senate: STRAIGHT REPUBLICAN – Most of our congressional delegation is a huge disappointment. Unfortunately, once the primary was over, our good choices were taken away. We certainly cannot afford to send any Demonrats to Washington. The good news is we have Jim Bridenstine there (he is the best we have), and since James Lankford got away from Tom Cole and moved to the Senate, his Freedom Index Score has gone from 66% to 80%. SQ 776, “Full Force & Effect of Death Penalty.” Vote YES. This measure would affirm in the state constitution that the death penalty is not cruel or unusual punishment. It would affirm that the death penalty remains in force even when a particular method of execution is unavailable. SQ 777, “Right to Harm.” Vote NO. This proposed amendment to our state constitution sounds good on the surface, but it appears to have been written by Washington lobbyists on behalf of multi-national corporate agricultural interests. The measure is designed to bypass our state legislature’s authority, so that federal mandates and regulations can rule the day in farming. Ultimately, if passed, this measure would make it harder for small farmers to fight federal overreach and harder to fight the lawyers of out-of- state big corporations. Here is a thirteen-minute explanation of SQ 777, and here is our interview on the Pat Campbell Show. SQ 779, “The Boren Tax.” Vote NO. This measure would create a new, huge, permanent funding source for education which would only exacerbate the problems inherent in an inefficient and corrupt monopoly, as we have explained in previous updates. If enacted, the Boren tax would increase the state education sales tax rate by about 28%, making our state less competitive with other states. According to the Tax Foundation, it would raise Oklahoma’s average statewide sales tax to the second-highest in the union. SQ 780, “Smart Justice Reform Act.” Vote YES. This measure would change some drug possession crimes from a felony to a misdemeanor, and it would raise the property crime threshold to $1,000, so that if the crime involved less than $1,000 in value, it would be classified as a misdemeanor rather than a felony. These changes make common sense. There is a tremendous difference between having a misdemeanor versus a felony conviction on one’s record. If we want the penalty to match the crime, this is a reform in the right direction. Those who hurt themselves and others by abusing drugs are not beyond recovery. They may deserve some punishment and rehabilitation, but to treat them as felons is to unfairly limit many of their future options. The best argument against the measure is that it is tied to SQ 781, which is not good. If you are concerned with 781, you might want to vote no on 780 for the practical reason that that they would likely pass together. SQ 781, “County Community Safety Investment Fund.” Vote NO. A man came home and said to his wife, “Look at this new power drill I bought for free.” “Bought for free?” she said. “Yes. It was originally $40, but it was marked half off, so I bought it with the $20 I saved.” SQ 781 is reminiscent of the free power drill. The state would come home with a new slush fund. Revenue for the fund would come from the cost savings of implementing SQ 780, as imagined by the “best estimate” of the Office of Management and Enterprise Services. Then the funds would be redistributed to counties for “community rehabilitative programs.” Let’s not buy another dollar-sucking socialist scheme. We can use existing public and private programs to help those with addiction problems. Any cost savings ought to be returned to the people or reallocated within law enforcement budgets for improvement to county jails or other proper needs. SQ 790, “Repeal the Blaine Amendment.” Vote YES. Last year the Oklahoma Supreme Court ordered a monument of the Ten Commandments be removed from the capitol grounds, citing a portion of the Oklahoma Constitution which prohibits the government from using public property for the benefit of any religious institution. The purpose of the monument was to remember the historical influence of the Ten Commandments, not to support a particular religious institution. Furthermore, the monument was placed by private funds. The court’s opinion was wrong. If the court’s opinion is applied consistently, women and children on Sooner Care will not be able to receive services from a clinic or hospital affiliated with a religion, we will not be able to vote at church polling places, and we will not be able to hold school or conduct public business at churches after a tornado or fire destroys a public building. Sen. Joseph Silk of Broken Bow and Sen. Rob Standridge of Norman authored SQ 790 so that the citizens might correct the injustice of the court. If SQ 790 passes, the state must still comply with the Establishment Clause of the U.S. Constitution, which prevents government from endorsing a religion, but we will be able to replace our Ten Commandments monument and continue to benefit from the generosity of churches. Some argue that if we repeal the Blaine Amendment, we open the capitol grounds to satanic idols. This is simply false. Satanism played no historic role in the formation of our civil laws. One such idol was already proposed and was laughed out of town, all the way to Detroit. Download this Ten Commandments Flyer, and give a copy to everybody at church. SQ 792, “Modernizing Liquor Laws.” Vote Yes. In a perfect world, we would dismantle the ABLE Commission and allow any businessperson to sell all kinds of adult beverages without state interference. This complex resolution would not accomplish that, and it contains many anti-free market aspects. The Legislature would still be regulating the adult beverage industry to a high degree. The fascist ABLE commission would remain intact. Licensing and other restrictions on ownership and sales would continue under this proposed amendment (e.g., felons could not be licensees—another reason to vote yes on SQ 780). However, if passed, SQ 792 would inch Oklahoma in the right direction. We would see more competition and availability of products as a result, and we would be more competitive with other states. We might even be allowed to buy local communion wine on Sundays! Judge Thomas Thornbrugh (State Court of Civil Appeals): YOUR CHOICE - The Court of Civil Appeals is the most difficult to evaluate because they do not settle many high profile cases. Thornbrugh was the only judge on the court with whom some sources were not fully satisfied. SD 1 (Craig, Delaware, Mayes, Ottawa) YOUR CHOICE – The seat has lately been held by a Demonrat, but putting in the Republican may not be helpful since he advertises that he supports economic development, and his website is not clear on his stance regarding parental choice in education. He talks a lot about stable funding for government schools. SD 3 (Adair, Cherokee, Delaware, Mayes, Rogers) YOUR CHOICE – The incumbent is a RINO (Republican In Name Only) with a score of 30% last year and a 60% lifetime average on the Conservative Index. He is an opponent of parental choice for vaccination. With an overwhelming number of Republicans already in the Senate, we do not need liberals undermining a truly conservative agenda in the Republican caucus. SD 5 (Atoka, Choctaw, LeFlore, McCurtain, Pushmataha) JOSEPH SILK is endorsed by OCPAC, and he is the winner of two prestigious OCPAC awards: Senate Freshman of the Year and Wilberforce Champion of Life. He has authored principled pro-life legislation, advocates vaccine choice, and is a champion of state sovereignty. SD 7 (Haskell, Hughes, Latimer, Okfuskee, Pittsburg) LARRY BOGS – With a lifetime average of 67% on the Conservative Index, Larry is not very conservative, but he would be better than the Demonrat, and he is in favor of parental choice for vaccination. 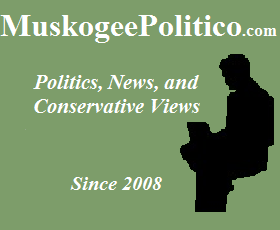 SD 9 (Cherokee, Muskogee) YOUR CHOICE – Traditionally a Demonrat stronghold, the Republican may not be much better. SD 13 (Garvin, Pottawatomie, Seminole) YOUR CHOICE – We did not interview or endorse in this race. The district is typically Demonrat. SD 15 (Cleveland, Oklahoma) ROB STANDRIDGE – Sen. Standridge fell off a bit this year on his conservative principles, voting to expand business licensing, the police-state, and regulations, but he is also winning OCPAC’s Korczak Defender of Individual Rights award for fighting mandatory vaccines. With a lifetime average of 75% on the Conservative Index, he deserves to be reelected. SD 19 (Alfalfa, Garfield, Kay) YOUR CHOICE – We did not interview or endorse in this race. SD 21 (Payne) YOUR CHOICE – We did not interview or endorse in this race. SD 23 (Canadian, Kingfisher) YOUR CHOICE – We did not interview or endorse in this race. SD 25 (Tulsa) JOE NEWHOUSE is endorsed by OCPAC. SD 29 (Bartlesville area) JULIE DANIELS – While Daniels still has a lot to learn about the principles of good government, we were impressed with her open advocacy of education choice and believe that she will definitely be better than the Demonrat. SD 31 (Comanche, Cotton, Stephens) YOUR CHOICE – We did not interview or endorse in this race. We understand that Kidd supports parental choice for vaccination, but it is doubtful that he supports parental choice for education. SD 33 (Broken Arrow area) NATHAN DAHM is endorsed by OCPAC, and he was our Senate Legislator of the Year for 2015 and 2016 and was previously our Freshman of the Year. With a lifetime average of 98% on the Conservative Index, he may be the finest in the Senate. SD 35 (Tulsa) YOUR CHOICE – The incumbent Sen. Gary Stanislawski scored only 50% on the Conservative Index this year, voting to expand business licensing, the police-state, and regulations. We do not need any more liberal Republicans in the Senate. However, if you cannot stomach a protest vote for a Demonrat, you will be glad to know that Stanislawski does support parental choice for vaccination. SD 37 (Sand Springs, Tulsa area) YOUR CHOICE – Sen. Newberry scored 53% on the Conservative Index this year and has a 64% lifetime average. Like Stanislawski, he supports parental choice for vaccination, but we do not need liberals undermining a truly conservative agenda in the Republican caucus. SD 39 (Tulsa) YOUR CHOICE. SD 41 (Oklahoma) YOUR CHOICE. SD 43 (Purcell, Washington, Duncan area) PAUL SCOTT – Scott unseated the incumbent RINO (Republican In Name Only) Sen. Corey Brooks. Scott still has a lot to learn about economic development and state sovereignty, but he will be a breath of fresh air after Brooks and way better than any Demonrat from that area. SD 47 (Oklahoma) YOUR CHOICE – Incumbent Sen. Greg Treat scored only 60% on the Conservative Index this year. Also in the negative column is his participation in an ethically questionable consulting scheme with a political action committee. We do not need more Republicans in the Senate; we need better ones. HD 1 (LeFlore, McCurtain) STEVEN McGOWEN is endorsed by OCPAC. The incumbent Demonrat scored only 33% on the Conservative Index and has a 43% lifetime average. HD 2 (Sequoyah) JOHN BENNETT – Bennet scored a solid 80% this year on the Conservative Index and has been tenacious on marque issues such as self-defense and abortion. He also supports parental choice for vaccination. HD 3 (LeFlore) YOUR CHOICE – The Republican candidate is pro-economic development schemes and is opposed to school choice. You might seriously consider the Democrat who at least supports parental choice for vaccination. HD 4 (Cherokee) YOUR CHOICE – The Republican candidate is opposed to school choice. HD 5 (Delaware, Mayes) YOUR CHOICE – We did not interview or endorse in this race. HD 7 (Delaware, Ottawa) HOGUEN APPERSON – The incumbent Demonrat Ben Loring scored only 9% on the Conservative Index and has a 20% lifetime average. HD 8 (Mayes, Rogers, Wagoner) TOM GANN is endorsed by OCPAC. He is also a successful businessman who does not need the job. He refused our offer to help finance his campaign. HD 10 (Nowata, Osage, Washington) TRAVIS DUNLAP is endorsed by OCPAC and has won our House Freshman of the Year Runner-up award two years in a row. He has an average Conservative Index score of 90%. HD 12 (Wagoner) KEVIN McDUGLE is endorsed by OCPAC. HD 13 (McIntosh, Muskogee) YOUR CHOICE – We did not interview or endorse in this race. HD 14 (Cherokee, Muskogee) GEORGE FAUGHT dropped to a 56% this year, but his lifetime average on the Conservative Index is still 75%, and he did vote correctly on the police-state issues and supports parental choice for vaccination. 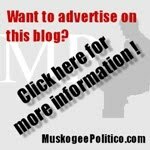 HD 15 (Haskell, LeFlore, McIntosh, Muskogee, Pittsburg, Sequoyah) ED CANNADAY – Ed Cannaday, the incumbent Democrat, scored 70% this year on the Conservative Index, which was better than fifty-five Republicans. Cannaday voted to stop abortion, and he also supports parental choice for vaccination. We would do well to have more Republicans like this Democrat. 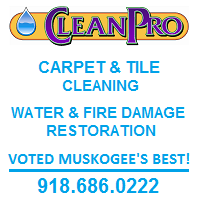 HD 16 (Muskogee, Okmulgee, Tulsa, Wagoner) YOUR CHOICE – We did not interview or endorse in this race. HD 17 (Latimer, LeFlore, Pittsburg) PAUL MAREAN – The incumbent Demonrat Brian Renegar has a lifetime average of 39% on the Conservative Index. Marean supports parental choice for vaccination. HD 19 (Atoka, Bryan, Choctaw, Pushmataha) YOUR CHOICE – The Republican candidate, “JJ” Humphrey has a lot to learn about the real solutions to our education problems. He does not fully understand the proper role of government in economic development or how to uphold state sovereignty. He is a nice guy who might learn on the job if he defeats the Demonrat. HD 20 (Cleveland, Garvin, McClain, Pottawatomie) BOBBY CLEVELAND – With a lifetime average of 81% on the Conservative Index, Rep. Cleveland is one of our more conservative legislators. HD 21 (Bryan) YOUR CHOICE – The incumbent Republican Dustin Roberts scored 50% on the Conservative Index, voting for less transparency in education accounting, illegal bond debt, and seizure of DNA without conviction. On the positive side, he does support parental choice in vaccination. HD 23 (Rogers, Tulsa, Wagoner) YOUR CHOICE – The incumbent Republican Terry O’Donnell scored 56% on the Conservative Index and has a lifetime average of 65%. His score might have been lower, but he walked two of the key votes. Like many RINOs (Republicans In Name Only) in the House, he has trouble applying conservative principles to public policy. On the positive side, he does support parental choice in vaccination. HD 25 (Pontotoc) YOUR CHOICE – The incumbent Republican Todd Thomsen scored only 30% on the Conservative Index, voting against transparency, for illegal bond debt, and for expanding the police and surveillance state. With a lifetime average of 59%, this year was no fluke. HD 26 (Pottawatomie) YOUR CHOICE – We did not interview or endorse in this race. HD 27 (Cleveland, Pottawatomie) JOSH COCKROFT – Rep. Cockroft fell off a bit this year on his conservative principles, voting to expand business licensing and the police-state, but he does support parental choice for vaccination. With a lifetime average of 78% on the Conservative Index, he deserves another shot to show us his conservative principles. HD 28 (Pottawatomie, Seminole) TOM NEWELL – Rep. Newell fell off a bit this year on his conservative principles, voting for illegal bond debt and to expand the police-state. However, with a lifetime average of 82% on the Conservative Index, he deserves another shot. HD 29 (Creek, Tulsa) KYLE HILBERT is endorsed by OCPAC. HD 31 (Logan, Oklahoma) JASON MURPHEY is endorsed by OCPAC, and he has won OCPAC’s House Legislator of the Year award numerous times. With a lifetime average of 100% on the Conservative Index, Jason is one of the finest in the House. HD 32 (Lincoln, Logan) YOUR CHOICE – In each of his two years in the House, Republican incumbent Kevin Wallace has voted for unwise and illegal bond debt. He scored 53% on the Conservative Index in each year. He does have some conservative instincts on other issues such as parental choice for vaccination, but if you have doubts that he will legislate more conservatively in the future, now is the time to get him out. We have plenty of Republicans in the House to maintain a majority. HD 33 (Logan, Payne) YOUR CHOICE – The Republican candidate did not interview with OCPAC, but Erin Adams, the Libertarian candidate, did. Adams was articulate and principled, but unfortunately does not have a chance to win running as a third party candidate. The Republican is endorsed by outgoing Rep. Lee Denny who scored only 13% on her final Conservative Index rating. HD 36 (Osage, Tulsa) SEAN ROBERTS – Rep. Roberts has performed reasonably well with a lifetime average of 76% on the Conservative Index. He supports parental choice for vaccination, and he needs our encouragement to continue following his conservative instincts. HD 39 (Oklahoma) YOUR CHOICE – We did not interview or endorse in this race. HD 40 (Garfield) YOUR CHOICE – Rep. Caldwell scored only 32% on the Conservative Index, voting for illegal bond debt, expansion of the surveillance state, and new business regulation. Liberal Republicans like Caldwell work to undermine a truly conservative agenda in the Republican caucus. HD 42 (Garvin, McClain) YOUR CHOICE – We did not interview or endorse in this race. We do not know whether the Republican candidate Tim Downing supports parental choice for vaccination. HD 43 (Canadian) JOHN PAUL JORDAN – Rep. Jordan helped to author and promote the ballot measure that will allow us to Repeal the Blaine Amendment. Voting yes on Jordan’s SQ 790 would correct the injustice of the Oklahoma Supreme Court and allow us to replace our privately funded monument of the Ten Commandments. HD 45 (Cleveland) MARC ETTERS – The incumbent Demonrat Claudia Griffith scored only 20% on the Conservative Index. Now is the time to unseat her. HD 46 (Cleveland) YOUR CHOICE – The Republican incumbent Scott Martin scored only 30% on the Conservative Index, voting against transparency, for illegal bond debt, expanding the police and surveillance state, and adding business regulation. HD 47 (Canadian) O.A. CARGILL – The Republican In Name Only, Leslie Osborn, was OCPAC’s RINO of the Year award winner. She openly and actively fought for tax increases and tried very hard to give away state sovereignty, which she pledges to do again next year. Her score on the Conservative Index was only 23%. These types of so-called Republicans are extremely dangerous in the Legislature because they actively work to undermine a truly conservative agenda in the majority caucus. Considering that twenty-three out of twenty-nine Demonrats scored higher than Rep. Osborn, folks in Mustang are likely to get a more conservative representative by voting for an honest Democrat like O.A. Cargill. HD 49 (Carter, Love, Marshall) TOMMY HARDIN. HD 50 (Jefferson, Stephens) YOUR CHOICE – We did not interview or endorse in this race. HD 51 (Grady, McClain, Stephens) YOUR CHOICE – The Republican incumbent scored only 30% on the Conservative Index, voting for illegal bond debt, expansion of the surveillance and police-state, and new business regulation. Liberal Republicans like Scott Biggs work to undermine a truly conservative agenda in the Republican caucus. HD 54 (Cleveland, Oklahoma) KEVIN WEST. HD 55 (Beckham, Greer, Kiowa, Roger Mills, Washita) TODD RUSS – With a recent score of 63% and a lifetime average of 68% on the Conservative Index, Russ is just above the threshold of a RINO (Republican In Name Only) nomination. He could certainly do better, and we hope that he will next year. Rep. Russ does have conservative instincts, and he has come out in support of parental choice for vaccination. HD 56 (Caddo, Grady, Kiowa) CHRIS VERSER – Chris is the pastor of a small church outside of Chickasha, and he is staunchly conservative. The incumbent Demonrat, David Perryman, is a slick talker and has often voted conservatively on marque issues, but this year he walked the vote on the anti-abortion bill and scored only 23% on the Conservative Index. He deserves the boot. HD 60 (Caddo, Canadian) RHONDA BAKER – Rhonda was recruited by Rep. Dan Fisher and seems to have great conservative instincts. Rhonda Baker supports parental choice in education and for vaccination. HD 61 (Beaver, Cimarron, Ellis, Harper, Texas, Woodward) YOUR CHOICE – The incumbent Republican, Casey Murdock, scored only 46% on the Conservative Index and has a lifetime average of 50%. We do not need to keep RINOs (Republicans In Name Only) in the legislature. They undermine a truly conservative agenda in the Republican caucus. HD 62 (Comanche) YOUR CHOICE – The situation here is almost identical to HD 61. The incumbent Republican, John Montgomery, scored only 40% on the Conservative Index and has a lifetime average of 52%. We do not need to keep RINOs (Republicans In Name Only) in the legislature. They undermine a truly conservative agenda in the Republican caucus. HD 63 (Comanche, Tillman) YOUR CHOICE – The incumbent Republican Jeff Coody voted for illegal bond debt, to expand the surveillance and police-state, and added new business regulation. These types of Republicans undermine a truly conservative agenda in the Republican Caucus. The Democrat, Randy Batt, supports parental choice for vaccination. HD 64 (Comanche) YOUR CHOICE – We did not interview of endorse in this race. The state chamber has endorsed the Republican. The Democrat supports parental choice for vaccination. HD 65 (Caddo, Comanche, Cotton, Grady, Stephens) SCOOTER PARK. HD 66 (Osage, Tulsa) YOUR CHOICE – The Republican incumbent Jadine Nollan tied with Leslie Osborn as one of the worst legislators of the year, scoring a paltry 23% on the Conservative Index. Voters would have a statistically better chance of getting a more conservative representative by voting for the Demonrat in the race. HD 67 (Tulsa) – SCOTT MCEACHIN is endorsed by OCPAC and Tom Coburn. It is worth noting that Scott is an intelligent and ardent supporter of state sovereignty. HD 69 (Bixby, Jenks, Tulsa) CHUCK STROHM is endorsed by OCPAC and won our House Freshman of the Year award two years in a row. He has a lifetime average of 97% on the Conservative Index. HD 70 (Tulsa) YOUR CHOICE – We did not interview of endorse in this race. 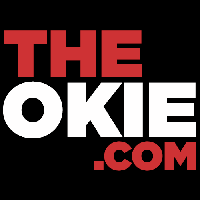 HD 71 (Tulsa) YOUR CHOICE – The Republican incumbent Katie Henke also tied with Leslie Osborn as one of the worst legislators of the year, scoring a paltry 23% on the Conservative Index. Voters would have a statistically better chance of getting a more conservative representative by voting for the Demonrat in the race. HD 73 (Osage, Tulsa) LELAND COLE – The incumbent Demonrat, Regina Goodwin, voted against self-defense protections earlier this year. She also voted against financial transparency in education and for new business licensing. This seat needs to switch to a Republican. HD 74 (Rogers, Tulsa) DAVID DERBY – Rep. Derby has performed reasonably well with a lifetime average of 76% on the Conservative Index. However, he dropped to 53% this year. He supports parental choice for vaccination, and he needs our encouragement to continue following his conservative instincts. HD 75 (Tulsa) YOUR CHOICE – The incumbent Republican, Dan Kirby, is an excellent specimen of a RINO (Republican In Name Only) in the wild. With a score of only 22% on the Conservative Index, twenty-six of twenty-nine Demonrats scored higher than this so-called Republican. He is also opposed to parental choice for vaccination. Voters would have a statistically better chance of getting a more conservative representative by voting for the Demonrat in the race. HD 76 (Tulsa) DAVID BRUMBAUGH is endorsed by OCPAC and won our House Legislator of the Year award. Scoring a perfect 100% on the Conservative Index, he is one of the finest. HD 78 (Tulsa) MOLLY McKAY is endorsed by OCPAC. She will fight for state sovereignty, parental rights, and limited government. HD 79 (Tulsa) YOUR CHOICE – The incumbent Republican, Weldon Watson, is an excellent specimen of a RINO (Republican In Name Only) in the wild. With a score of only 23% on the Conservative Index, twenty-three of twenty-nine Demonrats scored higher than this so-called Republican. He is also opposed to parental choice for vaccination. Voters would have a statistically better chance of getting a more conservative representative by voting for the Demonrat in the race. HD 80 (Tulsa, Wagoner) MIKE RITZE – Rep. Ritze has been supported by OCPAC, and this year he will receive our Korczak Defender of Individual Rights award. HD 81 (Oklahoma) YOUR CHOICE – We did not interview or endorse in this race. Only the Libertarian, Steve Long, has indicated that he supports parental choice for vaccination. HD 82 (Oklahoma) KEVIN CALVEY – This year Rep. Calvey put pressure on the legislature to reform the Oklahoma Supreme Court (still needs to be done), and he has led the charge to vote no on the two Supreme Court Justices on the ballot. He has also helped to inform the public about the need to vote yes on SQ 790 to repeal the Blaine Amendment, correcting the injustice of the Oklahoma Supreme Court. HD 83 (Oklahoma) RANDY McDANIEL. HD 84 (Oklahoma) TAMMY WEST. HD 85 (Oklahoma) MATT JACKSON is endorsed by OCPAC. HD 86 (Adair, Cherokee, Delaware) YOUR CHOICE – We did not interview or endorse in this race. Only the Libertarian, Shannon Grimes, has indicated that he supports parental choice for vaccination. HD 87 (Oklahoma) YOUR CHOICE – The Republican candidate does not have a good grasp of state sovereignty or how to protect it. He also struggles with the proper role of government in economic development. Only the Libertarian, Elle Collins, has indicated she supports parental choice for vaccination. HD 91 (Cleveland) YOUR CHOICE – The incumbent Republican, Chris Kannady, is an excellent specimen of a RINO (Republican In Name Only) in the wild. With a score of only 23% on the Conservative Index, twenty-three of twenty-nine Demonrats scored higher than this so-called Republican. Voters would have a statistically better chance of getting a more conservative representative by voting for the Demonrat in the race. HD 92 (Oklahoma) YOUR CHOICE – The Republican candidate does not have a good grasp of state sovereignty or how to protect it. He also struggles with the proper role of government in economic development. He believes the state should be involved in owning, developing, and leasing property. HD 93 (Oklahoma) YOUR CHOICE – We did not interview or endorse in this race. HD 94 (Oklahoma) JASON SANSONE – Jason is up against the Demonrat Minority Leader in the House, Scott Inman. HD 95 (Oklahoma) YOUR CHOICE – We did not interview or endorse in this race. HD 97 (Oklahoma) TONNI CANADAY. 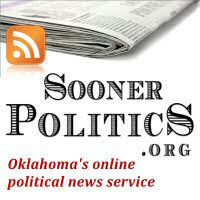 HD 99 (Oklahoma) YOUR CHOICE – We did not interview or endorse in this race. HD 100 (Oklahoma) ELISE HALL – While the Republican incumbent, Elise Hall, scored only 40% on the Conservative Index, she does have a 76% lifetime average. Which Rep. Hall will show up to work next year? HD 101 (Oklahoma) TESS TEAGUE is endorsed by OCPAC. In Senate Dist. 35 Stanislawski's opponent is not a Democrat but instead a Libertarian, Frank Groves.